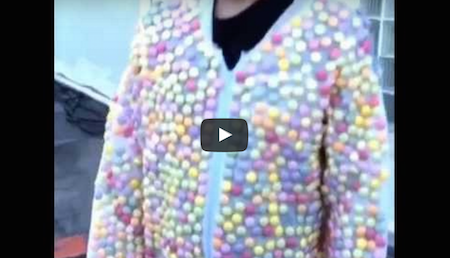 Guy Wearing Mentos Suit Drops Into Diet Coke Tank. He’s either the bravest guy in the world, or he just has a lot of time on his hands. Either way, this man decided to test the limits of the old urban legend – Mentos and Diet Coke. It is said that consuming Mentos candy with Diet Coke will make your stomach explode. According to MythBusters, when you drink a Diet Coke, it releases much of the pressurized carbon dioxide that forms the carbonation. As the soda warms while traveling through the stomach, the gas continues to vaporize. Any remaining might cause your stomach to expand, but it isn’t enough to spark a dangerous gassy rebellion if you chase the soda with a pack of Mentos. Have You Ever Wondered Why There Are White Strings Attached to the Egg Yolk? These Pets Eating Habits Are Awkwardly Hilarious!